The argument is often made that Excel is too inflexible to answer spur of the moment questions quickly and effectively. The scenario given is that you’re in a meeting with your Excel workbook, and someone asks a related question not currently accounted for. How embarrassing to have to look at your back up folder of printed Excel workbooks… Really? It may escape the attention of some, but Excel is actually an electronic product too so as a first point you wouldn’t need to dust off an enormous binder of printed reports. That aside, the overall argument has some merit in specific cases. 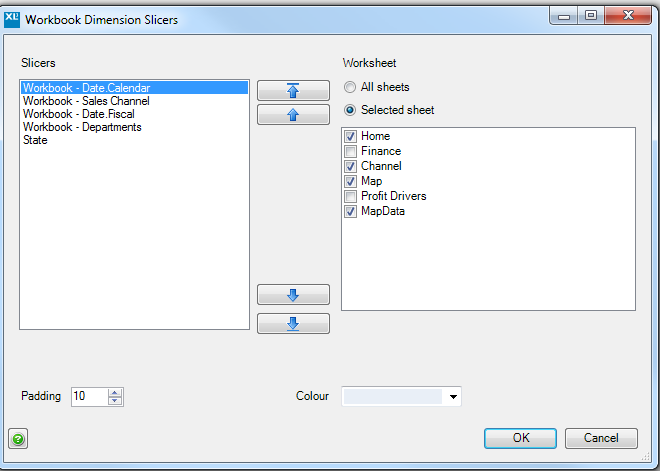 If Excel is acting as both the datastore and the presentation tool you have a problem. If the data you need isn’t in the workbook, you’re bang out of luck. 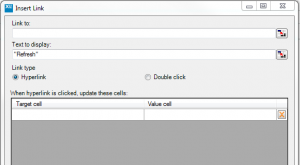 There are two key requirements to address the issue in Excel. 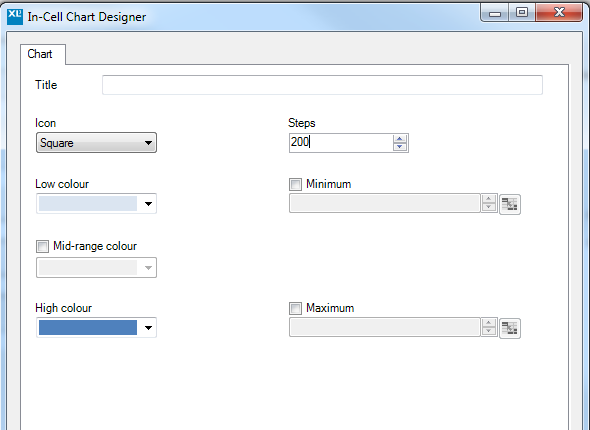 Firstly the data needs to be stored outside the workbook; in the case of XLCubed that’s in AS cubes or tabular models. This means when the data isn’t currently visible in the workbook it can still easily be queried and brought into play. Secondly, while it’s a huge step having the data in a cube, that in itself isn’t enough. 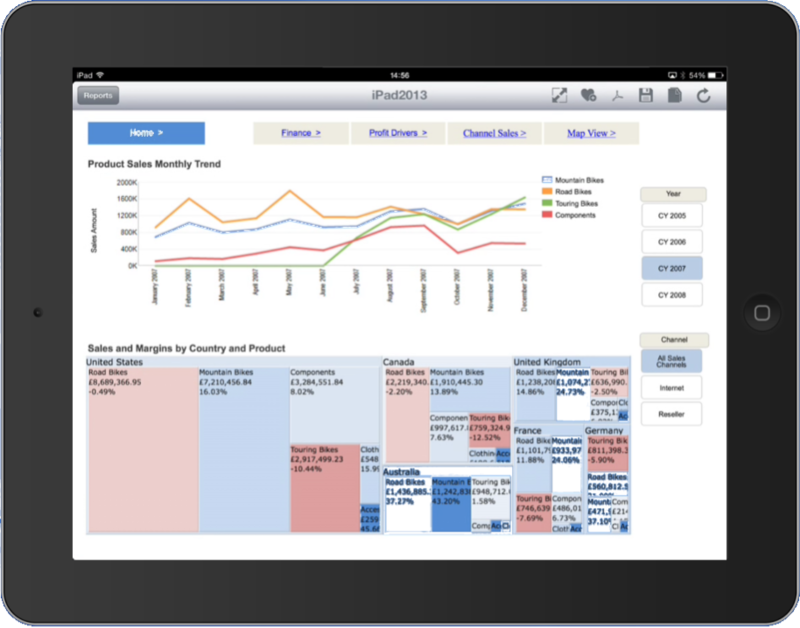 You need to be able to get it out quickly, easily and flexibly and to display it as information rather than just data. 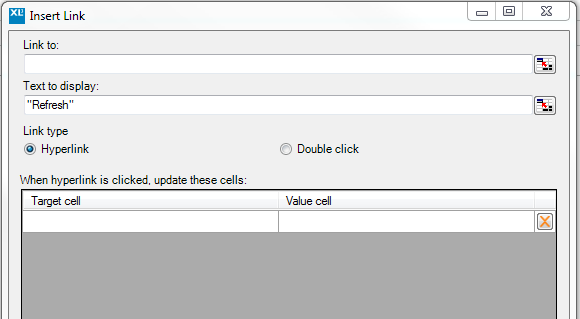 There are significant limitations with pivot tables when used to report on a cube and XLCubed addresses these while adding a lot more capability on top. The additional data you need to answer the question is readily available, and you have tools to do something meaningful with it using slice and dice tabular reporting, interactive charting and straightforward user calculations. So when someone asks the question in meeting, you can explore it interactively and on the spot. And in Excel. The next commonly listed criticism of Excel BI is the lack of integrated geospatial mapping. While for some reports maps remain an irrelevance, for others they can make a huge difference, with targeted advertising or awareness campaigns being the most obvious. 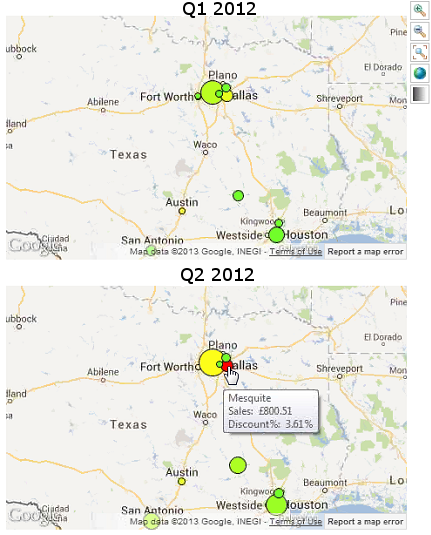 While you can now use mapping in Power View, for most corporate office users that isn’t an option yet. XLCubed brings both point and shape based mapping to any version of Excel. 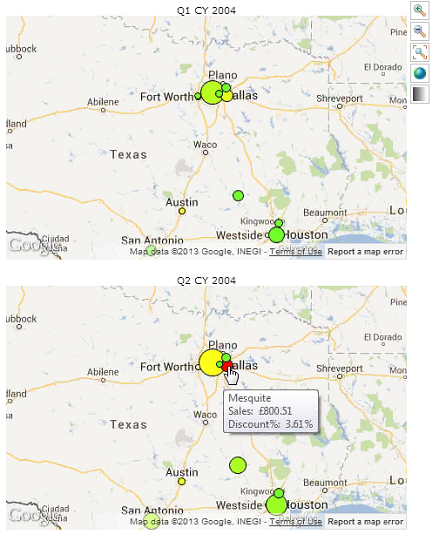 The example report below mixes mapping with the Small Multiples concept. The approach means you can have multiple identical maps which vary only by the time period. This helps you see change over time regionally, and also to make comparisons between the direction and pace of change by region. You can zoom in and pan the maps as needed and they’ll stay in sync, and individual points on the map can also be set up as report selectors which update the rest of the report in sync. 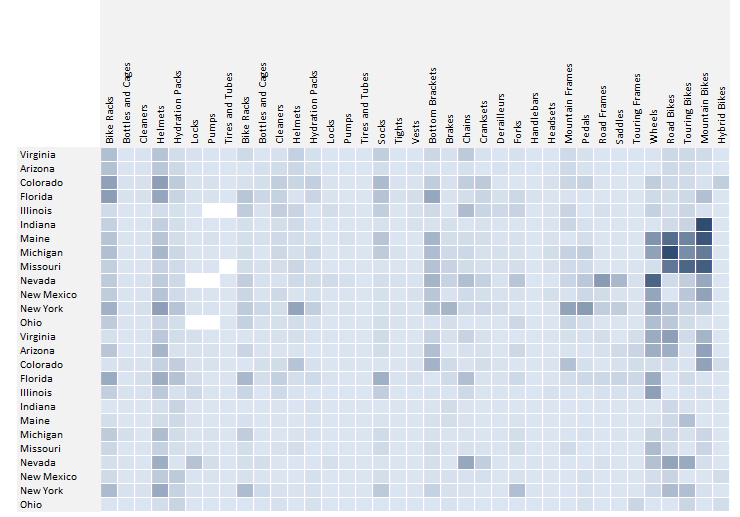 So, mapping in Excel? – absolutely, right now and in any version. 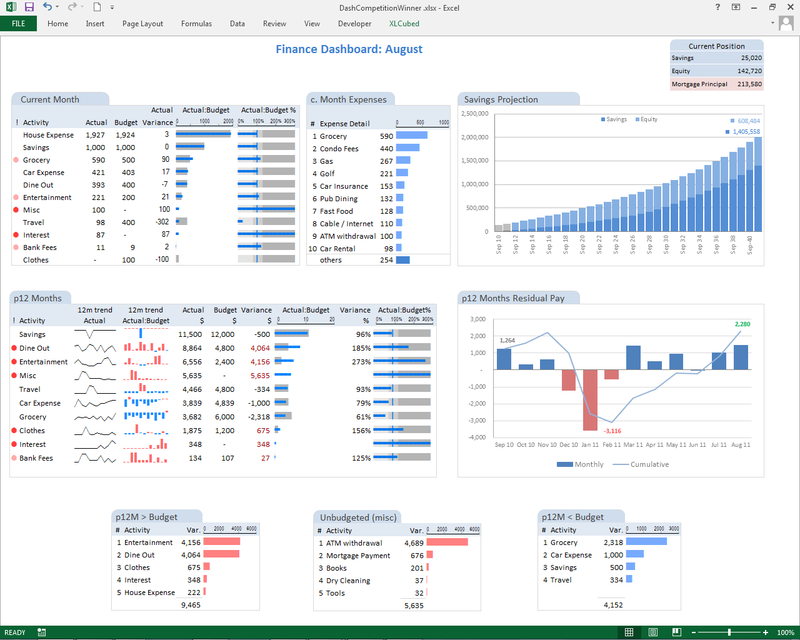 Third on our list of common criticisms of Excel focused BI, is the limitations of Excel Dashboards. It’s possible to build a truly awful dashboard in pretty much any dashboard tool. No tool is magic, ignoring the Doctor’s Sonic Screwdriver of course, and if you make bad design choices when building a dashboard the end result can be a mess. Similarly you can build a pretty decent dashboard in most tools. 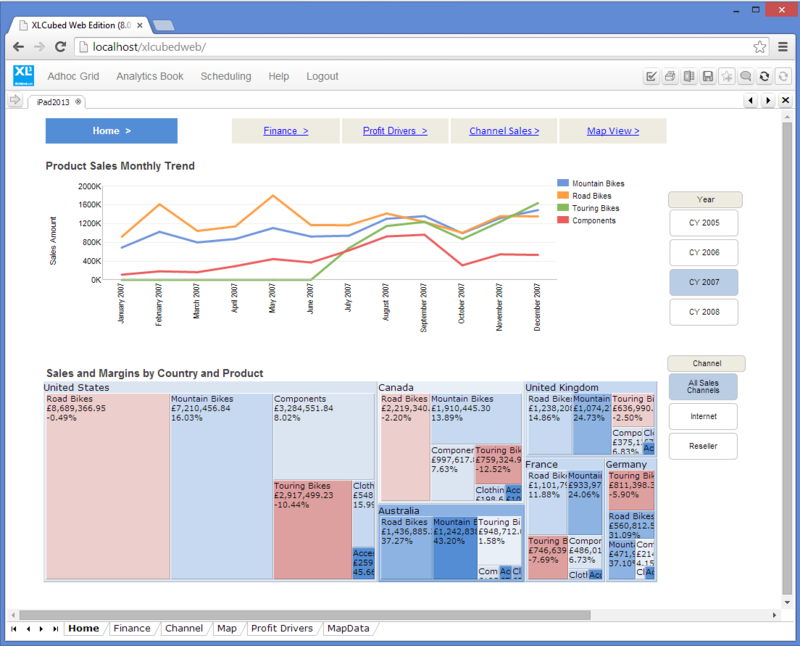 So even in base Excel with no additional software you can build a dashboard which looks good, and many people do. In native Excel there are undoubtedly some limitations around the available chart types, and the handling of dynamic charting. However you do have the benefit of very fine grain control over the layout and positioning of tables and charts. 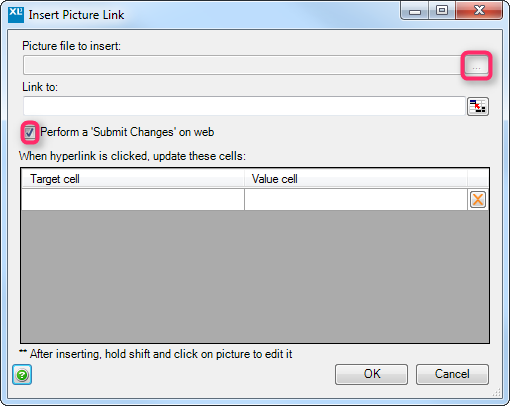 The camera object also lets you break out of the fixed column width which is sometimes seen as a limitation. XLCubed extends the core charts available in Excel with a rich library of in-cell charts, small multiple/trellis charting, mapping and TreeMaps. 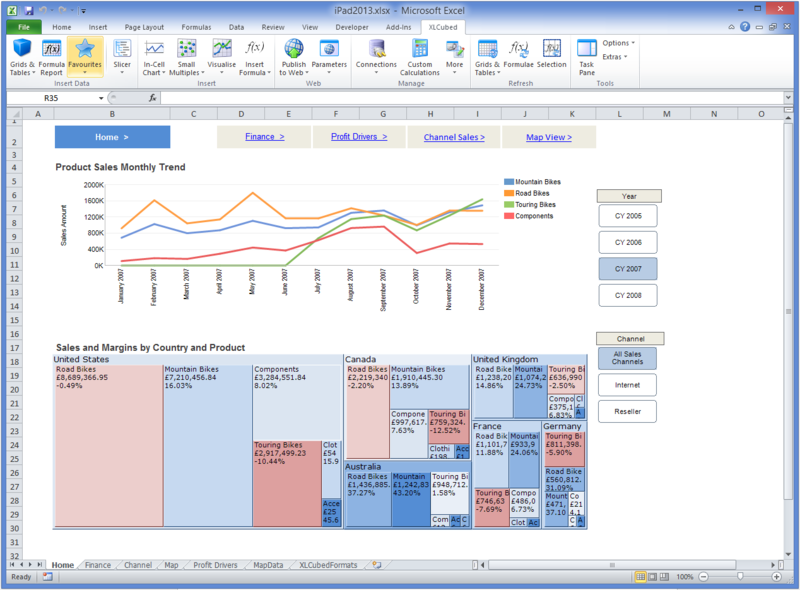 It means you can deliver more in Excel visually, rather than have to leave the environment totally. Dashboards mean different things to different people, for some a dashboard can be a table with a chart, but most contain significantly more than that. 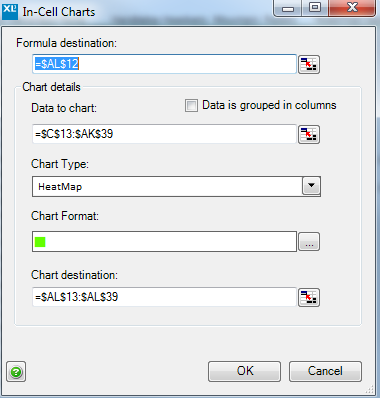 The example below uses a mixture of native Excel charting and XLCubed in-cell charts. It’s based around a sample personal finance data set, and brings a lot of information together in hopefully a visually appealing and effective way. If you want to build a highly formatted and relatively densely populated dashboard like this, it’s going to take more than a few minutes in any tool, no matter what the marketing says. In reality you’ll most likely struggle to get the exact layout in a widget based dashboard tool as you lose some of the fine-grain control over table and chart sizing which you have in Excel. Dashboards can be fundamentally simpler than the first example, but require more specialised chart types like the example below. In this case it’s a dashboard built in XLCubed Excel Edition and published to the Web, looking at fuel pricing for a downstream oil company (fictitious data). 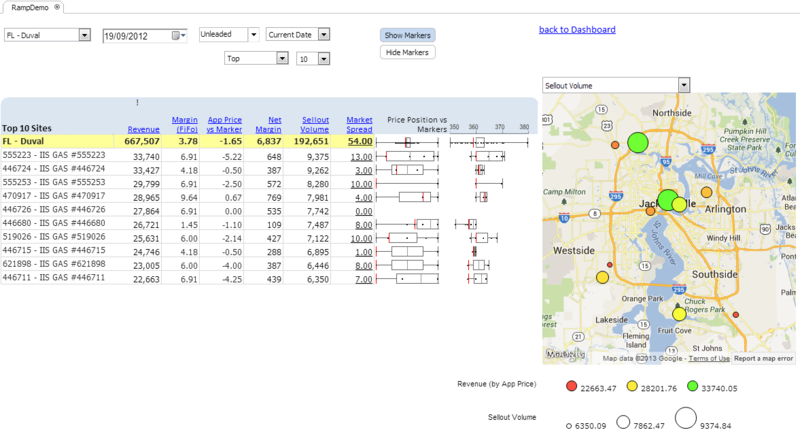 It’s a ranked table of data for a selected county in Florida, and is then using an extended boxplot to display the price distribution in the market, and a map to show the Revenues and Volumes geographically. One major issue with Excel dashboards can be the maintenance. If it’s an Excel-only dashboard, bringing in the new data, and checking all the links can be a time consuming process. In an XLCubed environment the cube is updated behind the scenes and the next time you open the report you’ll get the updated data, the ongoing burden of maintenance is largely removed. So in summary, Excel when well used, is a very good dashboard tool, and XLCubed extends the capability further still in terms of available chart types, flexibility and maintenance. Continuing our discussion of common criticisms of Excel focused BI, let’s take a look at charting. The flipside is that everyone knows how to use them, and in reality many charts in business reporting are in effect static – the numbers being charted change, but the chart layout and number of elements being charted stays the same. Of course there are cases when charts can vary considerably with the data, or perhaps you would like to be able to drill into more detail on the chart, or to quickly display multiple charts split by one variable. Excel charting can’t handle those scenarios, but XLCubed caters for it through Small Multiples. The example below depicts river water quality in different regions of England. It could be built in native Excel, but would be a painful and time consuming process. With XLCubed it’s a drag and drop process in our small multiple designer. 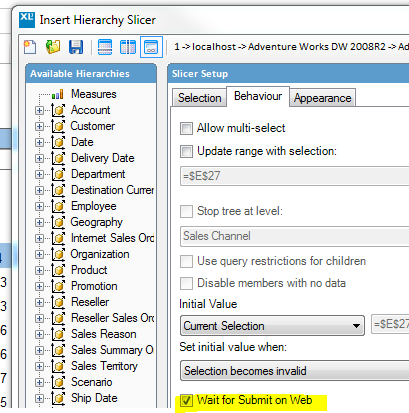 If the number of regions being reported changes, the number of charts being plotted will automatically stay in sync, and there is a direct data connection rather than having to maintain Excel ranges etc. Sometimes with charting small is beautiful. Perhaps we just want the key numbers with a Sparkline alongside, or a bullet graph or bar chart to display actual to target. 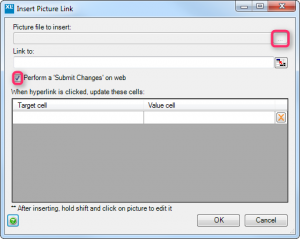 Native Excel 2010 and 2013 can handle the Sparkline, but not the ability to then drill the report and have the Sparklines extend, and there is also the issue of needing to bring the data itself into Excel before charting it. 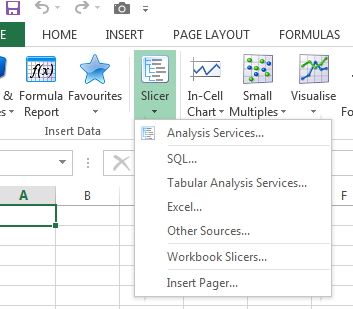 XLCubed Grids can contain dynamic in-cell charts which build the charts as part of the query, and as such are drillable and remove the need to maintain a data range in Excel as shown below. So XLCubed brings the type of dynamic charting being described to Excel, and provides a simple web and mobile deployment option.